AAAF is very excited to introduce the newest member of our committee. Cam, a student and a lover of music and sports, developed alopecia at the age of ten. He is based in WA, and strongly believes that the amount of hair on someone’s head shouldn’t define them as a person. Some of our community may know Cam from events and projects run by our WA Branch Manager, Greg, who is Cam’s very proud father. 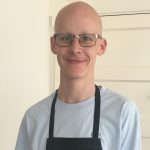 As a member of the foundation, Cam hopes to assist in removing the negative societal stigma around hair loss, and is always keen to have a chat to anybody who needs it. We’re very excited to have another wonderful Support Ambassador on our team. In March, Cam will be attending our WA Boys Weekend Camp, which will be a fantastic opportunity for any other boys or young men in around the Perth area to get to know him. All our Support Ambassadors are also available for any individuals with Alopecia or family members to get in touch with to talk about the condition and find out more about AAAF. Find out more about our Support Ambassadors here.